Vintage-loving brides, heads-up! 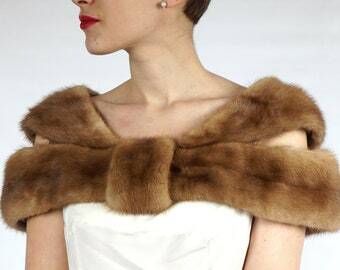 We’ll be posting lots of vintage wedding dresses, furs and accessories in the next few weeks - keep an eye on the shop. It’s getting to be jacket weather, ya’ll. We’ve got a whole new batch of warm winter wear heading to the shop right now! 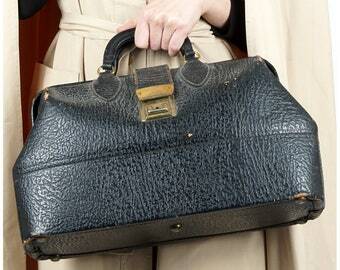 Fabulous new vintage hitting the shop - plan now for those upcoming holiday parties. I've loved thrift stores since I was in high school. I always got a thrill from finding an amazing piece of clothing that I knew nobody else would be wearing. I still appreciate those well-made, stylish, unique pieces that just make people say "damn, girl" when you walk in a room. I started this shop so that I'd have an excuse to go shopping more, but so that my husband couldn't call me a hoarder. Currently it is just a part-time labor of love that takes up my evenings and weekends, and most of the second bedroom in our San Francisco apartment. I truly hope you find something you love while shopping here. There is nothing that I love more than thrift stores, estate sales and flea markets. I part with each piece that I sell reluctantly, because I only stock the things I think are truly fabulous. We aim for 100% customer satisfaction and 100% positive feedback, so please contact us directly with any issues you may have and we will try to resolve them immediately. We prefer not to put items on hold, but we do offer layaway with a 20% deposit. Message us if you have your eye on something that you can't afford immediately and we'll work something out. We sell vintage (used) items, which means the pieces have probably been used and therefore may have minor imperfections. We try to describe any sort of wear and tear that we notice to the best of our ability, and price the item accordingly. Please email us for additional photos or explanation if you are concerned about the condition of an item.